I’ve been beauty blogging for a while now and still can’t bring myself to buy an actual ring-light yet. 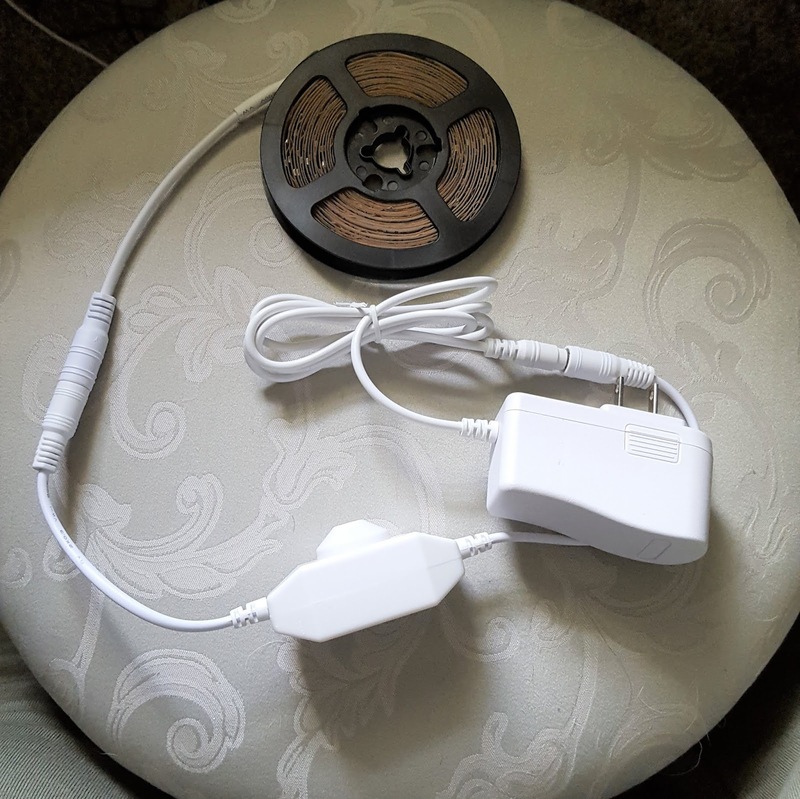 When I started shopping around months ago, I looked into some affordable DIY options and created one that works great, easy to make, and it only costs $30.00 USD. To learn more, read this. Sunnest sent this product to the author of LeeNG Beauty for free. Any opinions/experiences are the author’s own. I’ve been beauty blogging for a while now and still can’t bring myself to buy an actual ring-light yet. 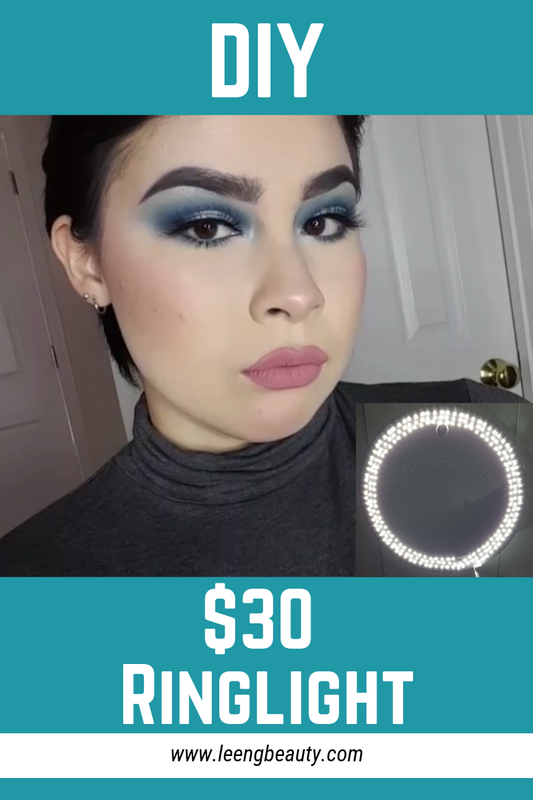 While it’s a good investment for a content creator of my niche, a decent ring-light will cost around $100.00 USD, which is a lot of money for a college student. I’m also super paranoid that I’ll end up with one that’s a piece of junk and will stop working shortly after getting it, so I want to do my research first. When I started shopping around months ago, I looked into some affordable DIY options for temporary usage. 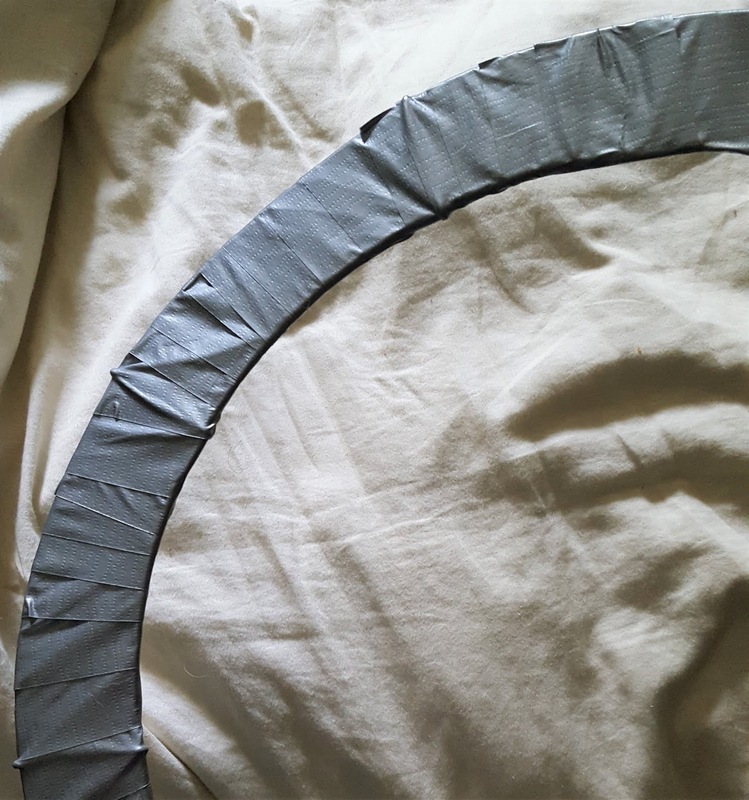 My current DIY ring light was based off a design made by Kevin Rupard that I made modifications to because I found the final product to be too tall, a pain to store, and a bit bulky. Now I’m going to show you how I made my ring light for only $30.00 USD! It works great, easy to make, and most of the supplies can be found at Walmart. The only thing not from Walmart are the lights that came from Amazon (which will be linked below). 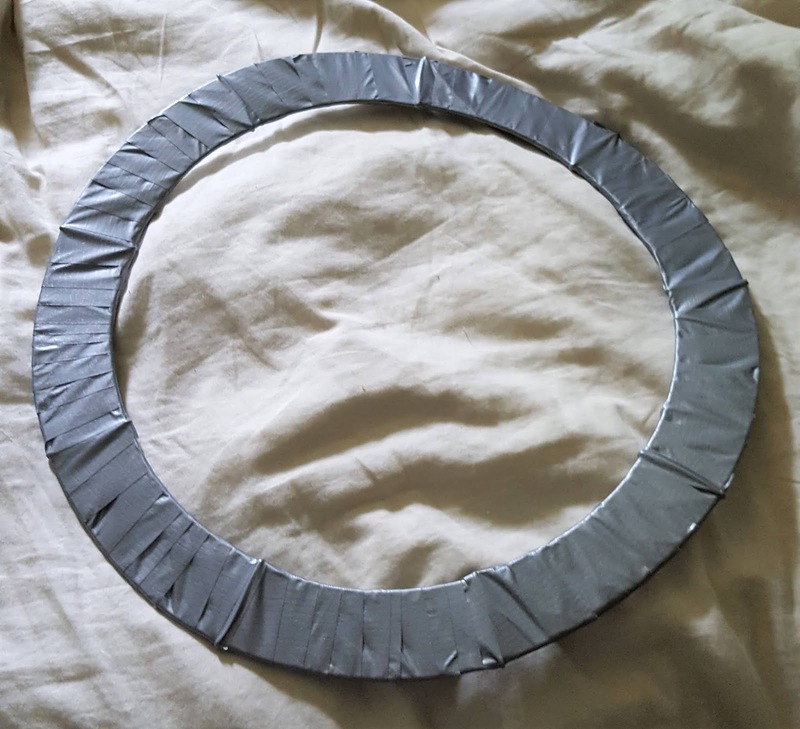 The lights need a flat surface to attach to, so you’re going to take your duct tape and wrap it around the wreath frame as tightly and ripple-free as possible. The arrangement of the rungs creates a concave, so DO NOT press on the tape to adhere it to the front – you want the front to be flat. Just keep the tape taut when you wrap it. Wrap the frame until it’s completely covered. I skipped this step because I hang my ring light on the wall. 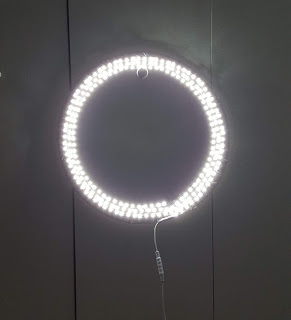 If you really want your ring light to have a stand, then it needs to be attached before putting the lights on. First figure out the height and position you want the ring to sit at. Lay the ring frontside down, then lay the stand on top, and tape them in place. Again, using the duct tape, wrap where the ring and stand are joined in a criss-cross motion until it feels sturdy and the ring doesn’t flop over. Sunnest 'Daylight White' 13 ft./4 m. Vanity LED Mirror Lights. Comes with a roll of 240 LEDs, a dial dimmer, and power chord. The lights I will be using are the Sunnest ‘Daylight White’ 13 ft./4 m. Vanity LED Mirror Lights. They have an adhesive backing, so they can easily be installed on any flat surface and you can adjust the dimness/intensity via the dimmer (that can be disconnected). I found that I had to dial down the light a bit because the brightest setting can be intense, plus the dimmer adds a little extra length. The lights come wrapped up with the connector plugged into the dimmer first, so the next thing to do is unravel the lights. I find it easier to work my way outward, so I need to start with the end opposite the dimmer. This part is the most time consuming because you must bend the LED strip to fit the ring. 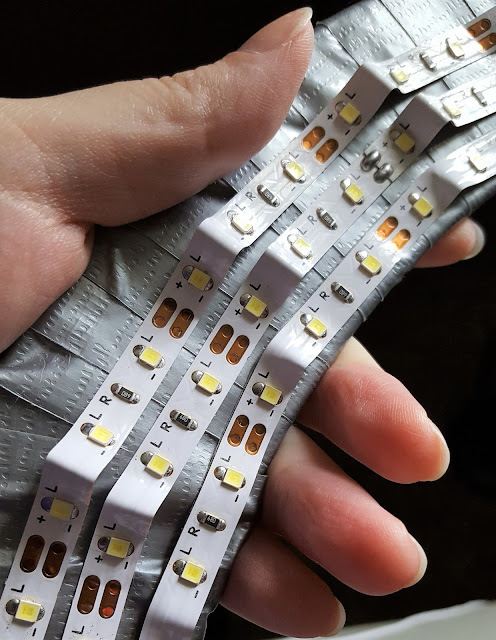 You’ll notice that after every three LEDs there’s a gap of blank strip, which is where you can bend it without damaging it. 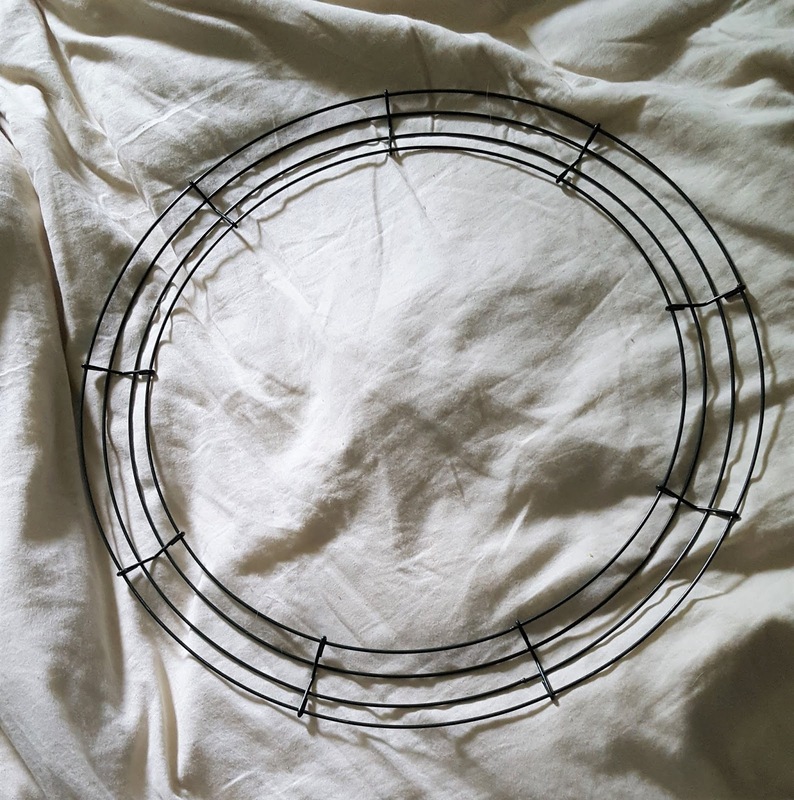 Go ahead and bend wherever you see those spaces before placing it on the ring. If you try to bend it as you place, it’s just going to cause any previously placed strip to lift and need to be put back in place. Once you’ve done that, starting with the non-chorded end, start adhering the strip to the ring in a circular motion working your way outward. While the strip has an adhesive backing, it might not hold because of all the folds and super glue might need to be used. I used nail glue because that’s what I had on hand. For extra security, you can tape part of the chord to the ring. 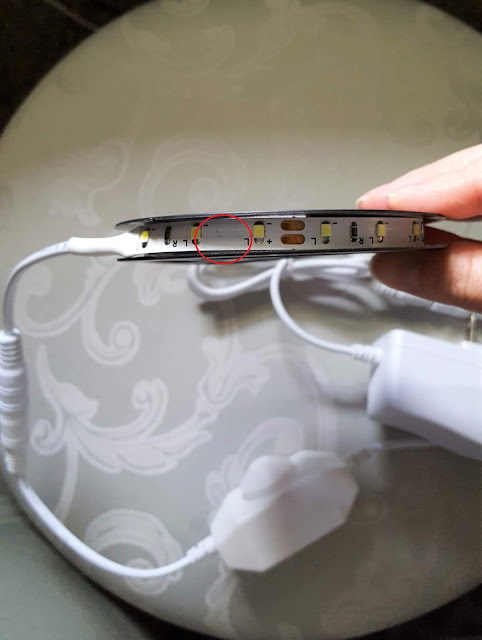 Once you're finished, plug it in and you got yourself a ring light! 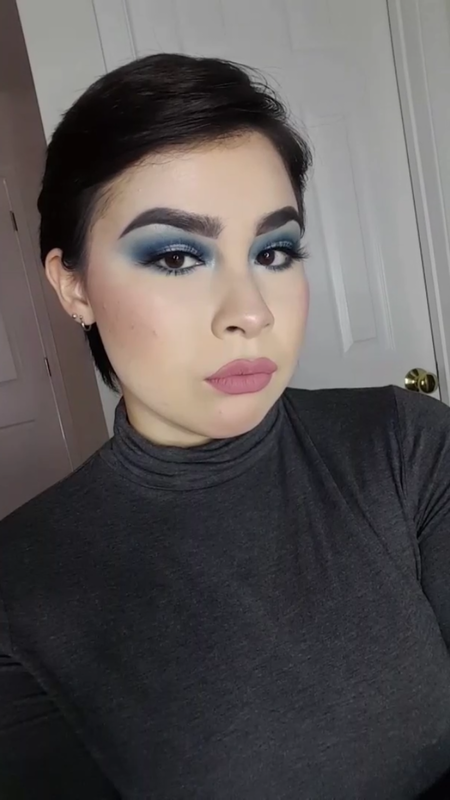 The result achieved using this ring light. If you’re interested in purchasing the Vanity LED Mirror Lights or other Sunnest products, you can check them out on Amazon or their website at sunnests.com.